Honey or rather ‘Hunny’ and when we hear this word all that comes to our minds is the ‘Hunny’ loving bear – Winnie the Pooh. It is also a superb breakfast meal and can be consumed with milk as well. 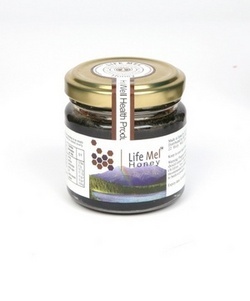 Life Mel honey is a product is now termed as a luxury food and is priced at fifty pounds for every 113g. The fans for this product include Kylie Minogue and Sienna Miller. This product has been made under an intensive production method where in bees are feed with an untainted diet of nectar. The derived honey is not artificially treated nor is any other additives mixed. The product has outstanding nutritional value and also has a number of benefits for everyone’s health.